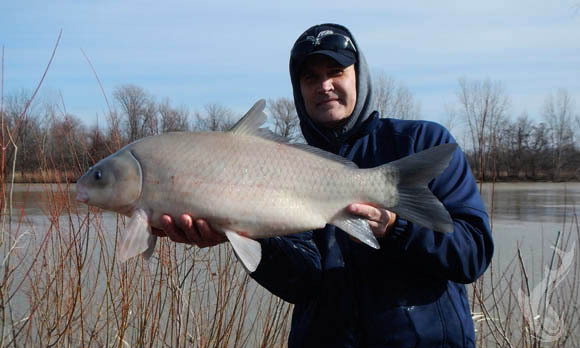 FREMONT, OH – While fishing is often way too infrequent for my liking, I have immensely enjoyed the few times I have gotten out. 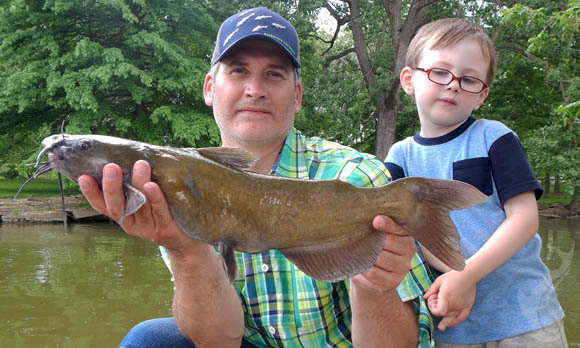 I’m happy to report plenty of fish have been caught (Largemouth Bass, Bluegill, Channel Catfish), but my real enjoyment has been having the entire family together. 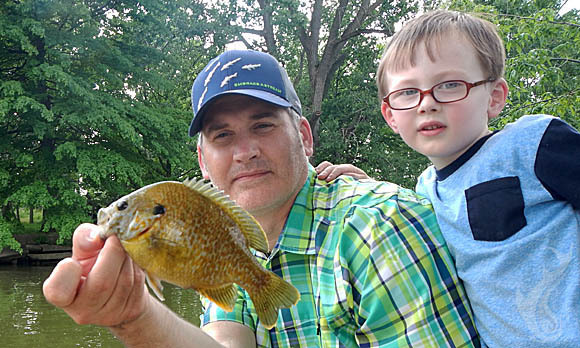 With my youngest ‘baby’ recently turning three, it is just getting easier for all of us. 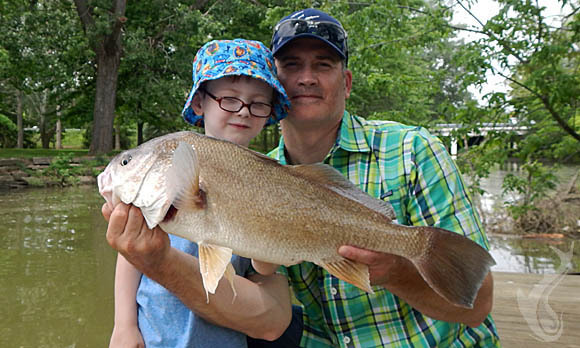 As patience and stamina continue to improve for the kids, combined with less separate packing, more fishing should be in my future. This suits me just fine! With so many life changes and focuses that happen with parenthood, it is always nice when anyone demonstrates appreciation of family and kids. 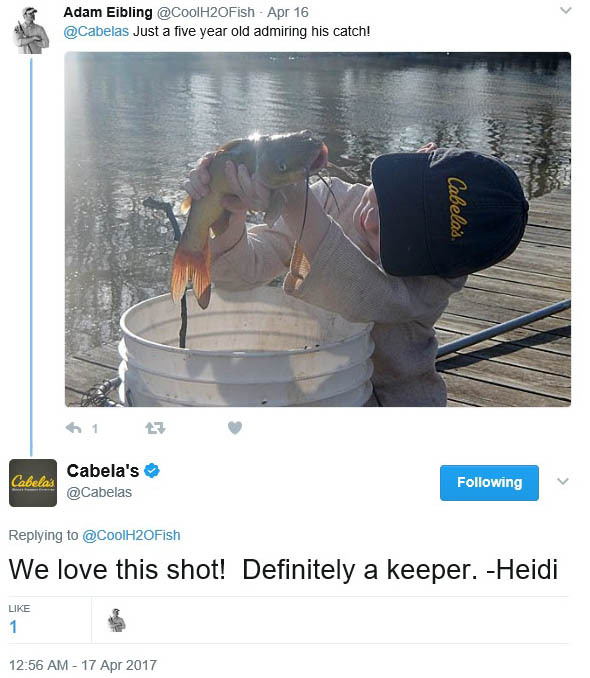 After realizing my son was sporting a Cabela’s hat and that some of the photos seemed to capture his love of fish so well, I tweeted an image to Cabela’s. For a big organization, I thought it was an exceptional nice personal touch to respond back. 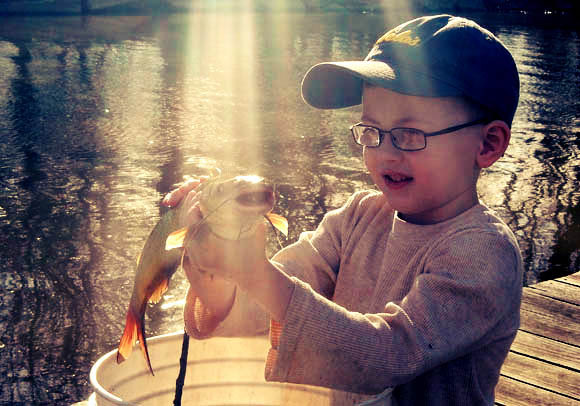 Well done Cabela’s, and now I have even more reasons to feel good spending money there! I had to laugh when the trash to the left went floating by. 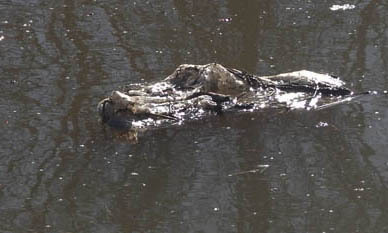 The only debate my 5 year old wanted to have was whether it was an Alligator or Crocodile. While it actually was some weathered rancid looking bubble wrap, I just didn’t have it in me to break his spirit and imagination. Honestly, the more I look at it, the more convincing it becomes.